According to GlobalData’s Q3 2018 global consumer survey, 46% of Japanese millennials said they consumed FABs at least once a week. This figure is much greater than the national average of 21%. Japan’s love affair with beer may be waning after five major national beer producers posted disappointing sales results for 2018, but evidence suggests consumers are turning their affections towards flavoured alcoholic beverages (FABs), or premixes, which have enjoyed considerable growth over the same period. Why are FABs so popular in Japan? Three key factors may explain this growth story. Japanese media often refer to what is going on as ‘beer banare’, a distancing from beer or a national lack of fondness of beer. The new kids on the block are FABs – and it is younger consumers who are driving this shift. According to GlobalData’s Q3 2018 global consumer survey, 46% of Japanese millennials said they consumed FABs at least once a week. This figure is much greater than the national average of 21%. Thus, the first key fact is that FABs resonate with younger drinkers. Secondly, FABs brands offer a wide range of flavours as well as varying alcoholic strengths. Kirin Hyoketsu, a major brand, has over 30 FAB varieties offering different flavours and alcohol strengths, as well as sugar-free options. Sensory enjoyment is a hugely important influencer of younger Japanese drinkers’ choice of alcoholic beverage. GlobalData’s research from 2018 Q3 found that when choosing an alcoholic drink, 56% of Japanese millennials are always or often influenced by how enjoyable or unique a product is. Again this figure is significantly greater than the national average of 39%. The final point is about price. According to a Suntory premixed alcoholic beverage 2019 report, FABs with relatively high alcohol content (over 7%) have seen notable sales growth. FABs with over 7% alcohol by volume (ABV) have become a key segment in the category, compared with FABs with 5-6% ABV and FABs with less than 4% ABV. In Japan, FABs are a highly affordable alcoholic drink. The typical recommended retail price of a 350ml can is JPY 141 ($1.30) and discounters often sell them at around JPY 100. Higher alcohol strength of a premixed drink does not increase the retail price, therefore consumers can buy FABs with 3% or 9% ABV at the same price. Higher alcohol content is likely to make consumers feel they are getting value for money, also some consumers may enjoy the fact they can get tipsy easily without having to spend more money. In the wake of the financial results for 2018, brewers have announced their sales strategy for FABs. For example, Kirin Breweries is aiming to fortify its Hyoketsu Strong line in which one of the varieties will contain 9% ABV. Meanwhile, Suntory says it will increase varieties with 6% ABV in its core offering -196C Strong Zero brand line-up (the original variants currently came with 9% ABV,) aiming to enhance the brand appeal to new audiences, including female consumers who prefer standard strength alcohol. 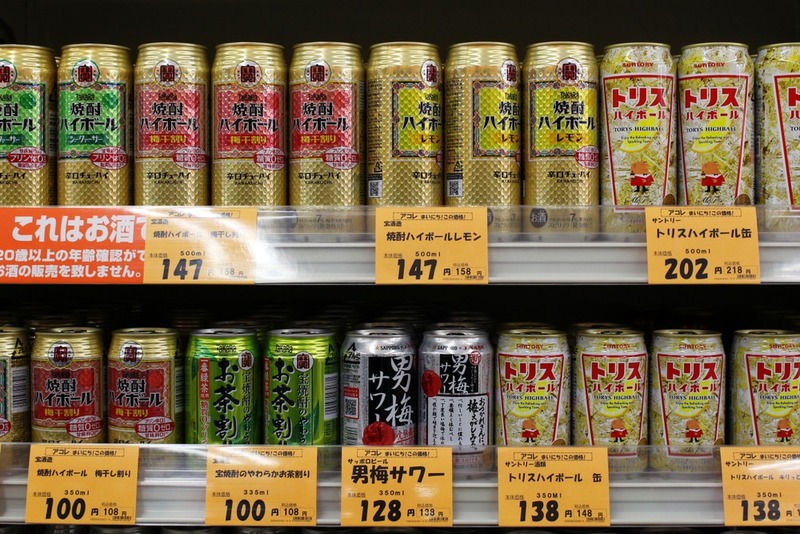 The competition among Japan’s FAB market is expected to escalate in 2019 and may cover the deficit from declining beer sales.